November 28, 2016 – An experiment conducted by HudsonAlpha Genomic Services Lab (GSL) and BioServe Space Technologies revealed why bacteria behave differently in the microgravity environment of space. The results of the study, called the Antibiotic Effectiveness in Space experiment, were published online November 2 in PLOS ONE. The investigation examined changes in gene expression of the bacteria E. coli during exposure to different concentrations of antibiotics while in the microgravity environment of space. E. coli is often used in microgravity studies because it is one of the several bacteria that grow more rapidly in space than on Earth. “This new understanding of how extracellular biophysical processes initiate mechanical transduction signals in bacteria in space may serve not only to protect astronauts, but also people here on earth with new vaccine development, finding novel molecular targets against drug-resistant pathogens, and testing of molecules to be used against osteoporosis or cancer,” said lead author Luis Zea, PhD, of the University of Colorado, Boulder. 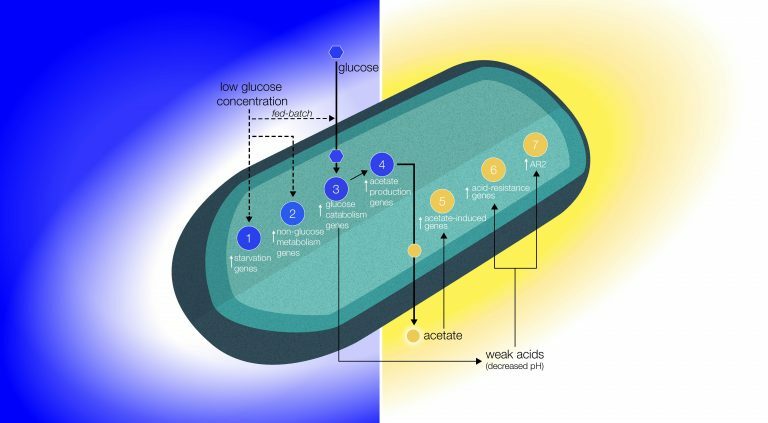 According to a blog post from PLOS Research News, the authors found that in space, the bacteria expressed more genes associated with starvation conditions, including genes encoding proteins for amino acid synthesis, glucose breakdown and use of alternative carbon sources. The GSL, led by Shawn Levy, PhD, sequenced the genome and transcriptomes – that is all of the DNA and all of the RNA – of the bacterial samples. BioServe is a NASA-supported center in the University of Colorado Boulder’s aerospace engineering sciences department.